This series, in seven parts, tells the story of America from the earliest founding through the days of Woodrow Wilson the Great War (World War I). 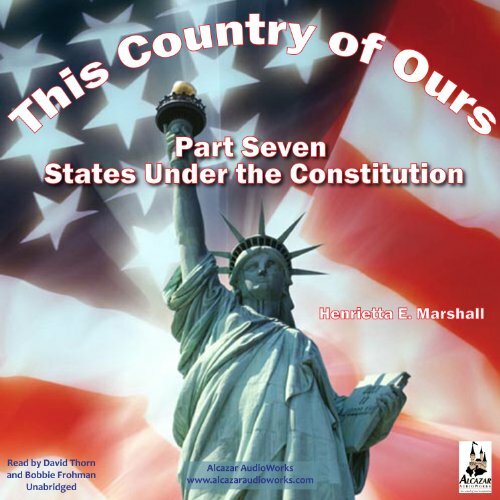 Part 7 continues the series with the development of the United States under the Presidents from Washington to Wilson. I don't know who this is aimed at. The narration starts with Ms. Marshal who is talking about George Washington. When she quotes him she deepens her voice like she's trying to imitate him which is what a kindergarten teacher would do if reading to her little kids. Tried to stick with it but then when the male narrator took over - with the English accent - he describes the Constitutional Convention where the leaders meet to "discuss this or that" but by the end of the summer they were in agreement. Forget about a narrated book how did this book get published?